Klein (Plato and a Platypus Walk into a Bar, 2008, among others) returned to the Greek island of Hydra at age 73. His return had a new and specific purpose: "I want to figure out the most satisfying way to live this stage of my life." 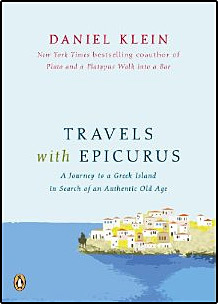 Prior experience with the island led to conclude that the "old folks of Hydra have always struck me as uncommonly content with their stage in life."